This year's conference is planned and we want to share the latest with you. Mark your calendars now! Mary Earle is an Episcopal Priest, Author, Poet, Retreat Leader and Spiritual Director. Until her retirement, she taught classes in spirituality for the Seminary of the Southwest in Austin, Texas. Mary has authored nine books; the subjects include the spirituality of living with illness, rule of life, Celtic Christian spirituality, the Desert Mothers, and Julian of Norwich. "Julian of Norwich and the 'Oneing' Love of God"
Julian's visions lead her to see what St. Paul sees: "All in all". She is phenomenally aware of the limitations of human perspective, without being facile or smug. She takes every kind of suffering into account, and sees the crucifixion as the means by which God tells us through Christ on the cross that even in the worst moments, we are held in the love of the Trinity. 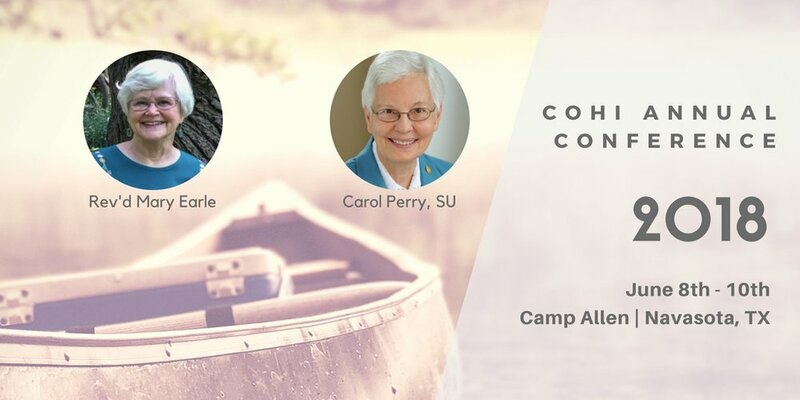 Joining us for the third year in a row and back by popular demand, Sister Carol Perry will offer three Bible story talks based on our 2018 theme, Oneness with God and Others. She recently retired from Marble Collegiate Church in NYC after serving for over 30 years as Resident Bible Scholar. Her standing room only classes were webcast live each Sunday morning. She's a sister of Saint Ursula, author and a faith filled, inspirational speaker. Click HERE to read more about her wonderful career in God's service. Talk 1: God said, "I need you to make the dream real." Our determined God invites us to make his plan come into being. Like Jonah, we sometimes have a different idea on that. Talk 2: God said, "I realize there will be bumps on the road." the elder brother of the prodigal. How do we let go of the pain and move on? Talk 3: God said, "I have a surprise for you." If Ezekiel won the coin toss, his prize was beyond his imagining. Can we be as daring? Spiritual Direction Rx | Rev. 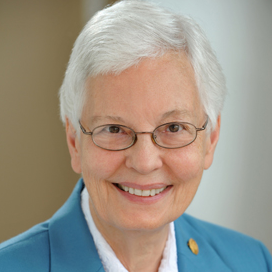 Joanna Seibert, M.D. The Rev. Joanna Seibert, M.D. will be joining us for the first time. Joanna will be presenting a workshop titled, “Spiritual Direction Rx.” She is a physician, minister, and spiritual director who shares spiritual direction insights for other directors as well as those in spiritual direction. The workshop will also be a good stop for anyone in the process of exploring spiritual direction. Joanna will have her harp with her to help set the scene, calm the soul, and give time for reflection. Joanna has been involved in Community of Hope for over 20 years in the Diocese of Arkansas. - Visio Divina: Exploring Prayer through Art/Images | Catherine Pryor Miller is retreat leader, speaker and spiritual director based in Dallas, Texas. She's also COHI's Southwest Regional Representative. - Crafting a Vibrant Circle of Care | Carrie Watson and Jennifer Sassin will present ideas for content and structure of Circle of Care meetings. Carrie serves on the board of COHI and Jennifer is the Executive Director of COHI.